Complementary colours are the opposite side of the colour spectrum. 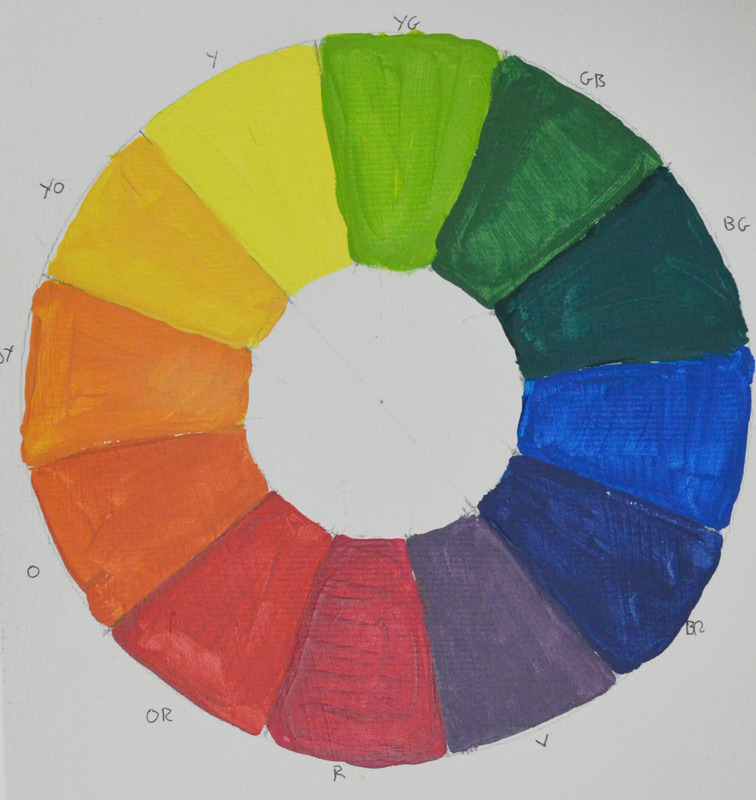 One way to learn about locating and mixing these colours is to make your own colour wheel. Like the brief instructed I drew a circle on an A4 sheet of paper ( in my mixed media XL book) with a compass, drew a much smaller circle inside of that and then also with the compass as well as ruler divided up the wheel into 12 separate segments. Then I tried to mix the colours from Chevreul’s wheel beginning with primary red, red-orange, orange yellow and so on. I worked on the colours I was unsure about several times on a sheet of grey prepared paper but the ones I was confident about I applied directly from the palette. As I started writing this up, I realised I may have gone at it a bit too quick and that also laying them on a white background to pair them up may have been betters so I decided to have another go. 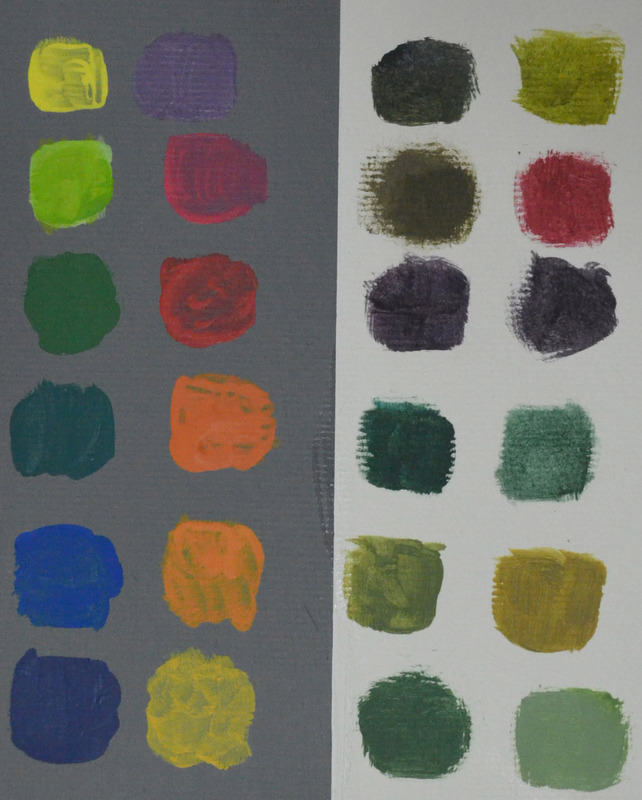 This time I tested out all the colours on a grey ground with colour mixes from each of the two colours on white. I could have probably done more colour testing with colour scales between each but even with the flow-aid the paint was drying fast. From there I applied the mixes to the colour wheel as I did in the first attempt. The second attempt proved that I didn’t need to do anymore work on this exercise as the hues were the same even though the tones were slightly different. Now I had 2 colour wheels to use for reference in the coming exercises. 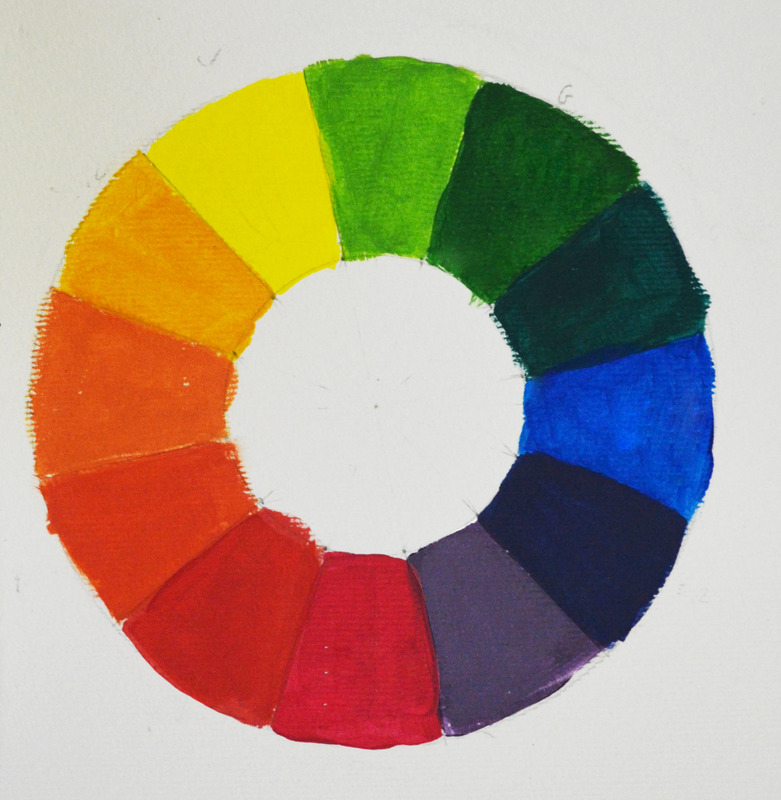 This entry was posted in 1 Understanding Colour, 5 - Complimentary Colours, Coursework, Pt 2 - Close to Home and tagged close to home, colour wheel, complimentary colours, oca painting 1 course, understanding colour on February 28, 2015 by Mark A Smith.